Now you can create your own careers for your science fiction roleplaying game! 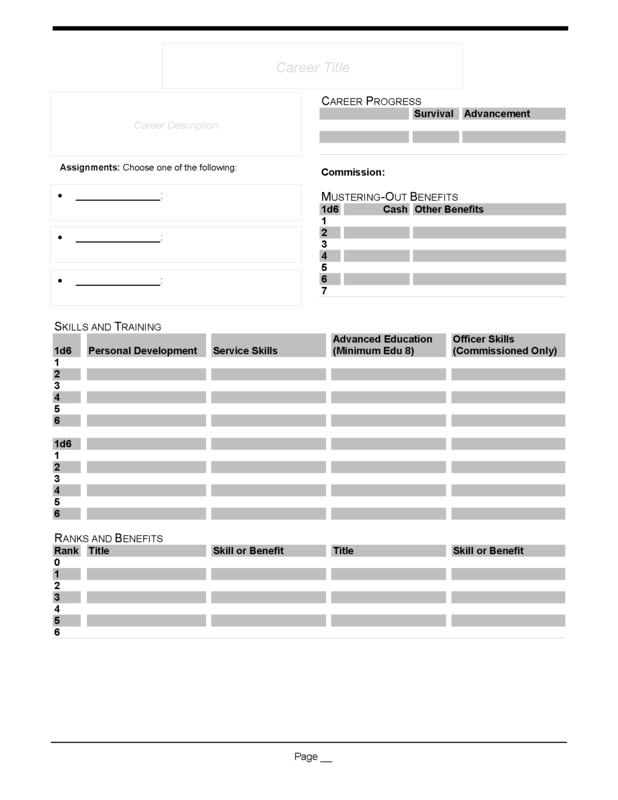 Laid out in the now-familiar format, this simple, two page form allows you to simply write in the throws, skills, benefits and ranks for your own new career! The Events table uses the d66 system, giving you more event options for a more varied character background. Page numbers have been left off, which enables you to create and sequentially number your new careers. The Mishap and Events tables page also includes a blank space at the top of the page for the career title. 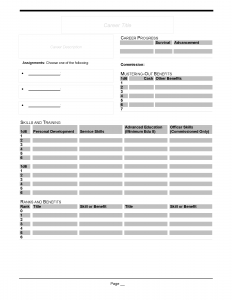 Download a free copy of New Career Sheets from our DriveThruRPG.com page!